This one’s a 1930s O’Mahony. I took my early ’40s O’Mahony catalog, which is probably similar to what the original owners selected from. 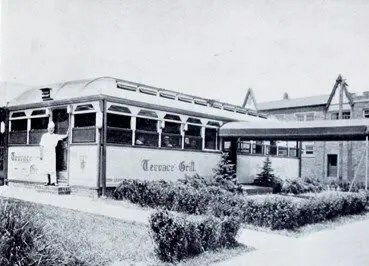 If you look under the awnings on the outside, the trapezoidal stained glass windows (see the original promotional picture and paintings of the diner) are still visible. Inside, they have been covered with woodwork, apparently some time ago. The diner suffered a fire a couple years ago. Photos of the damage line the two dining room wings. 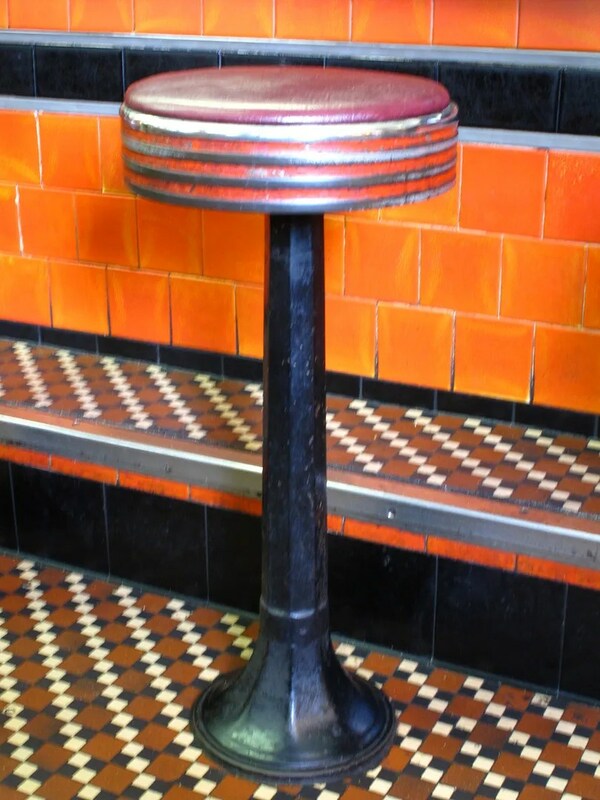 The dining rooms very nearly match the floor tile of the diner as well as its character. 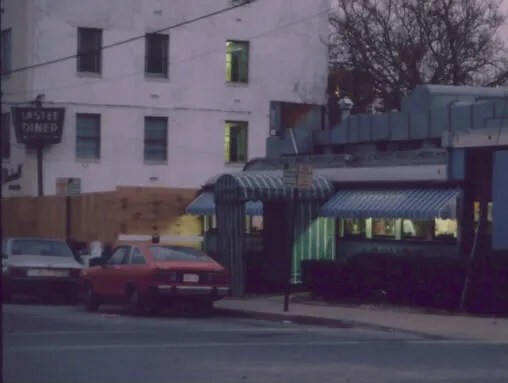 Tastee in the ’70s before all the clutter. 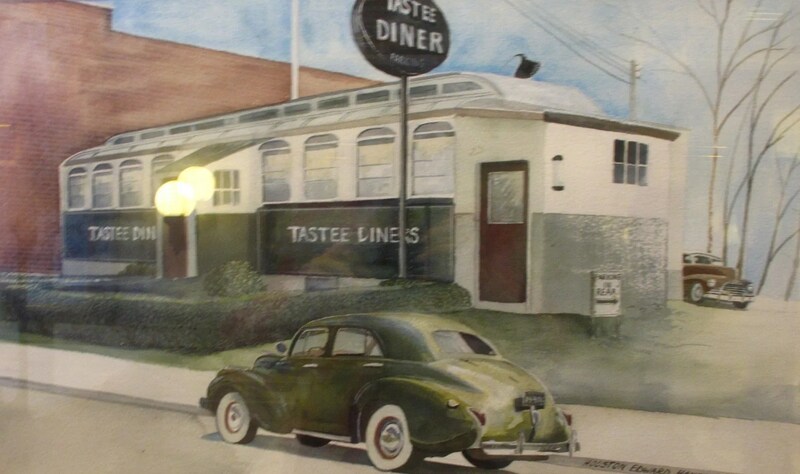 Painting in the Tastee of the Tastee in the 1940s. Advertisement in the post upon opening. 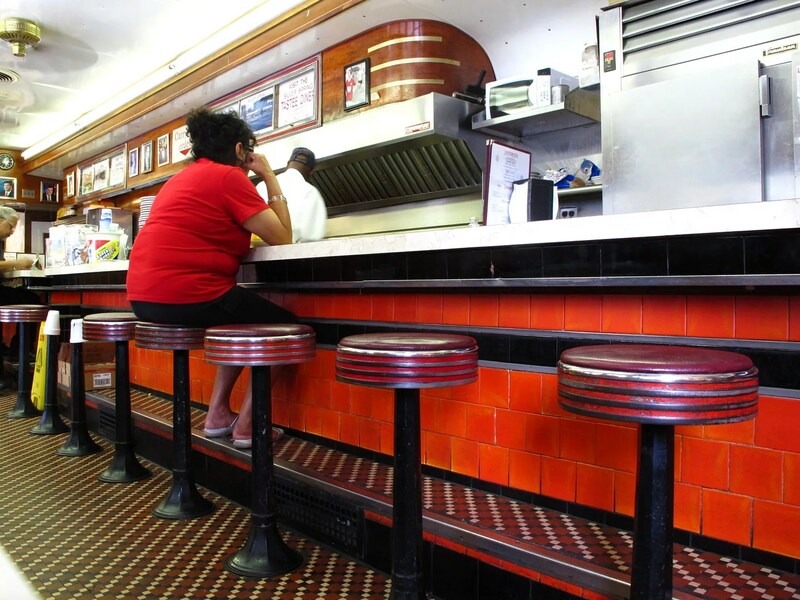 And here’s our waitress, a veteran of the diner of 23 years. 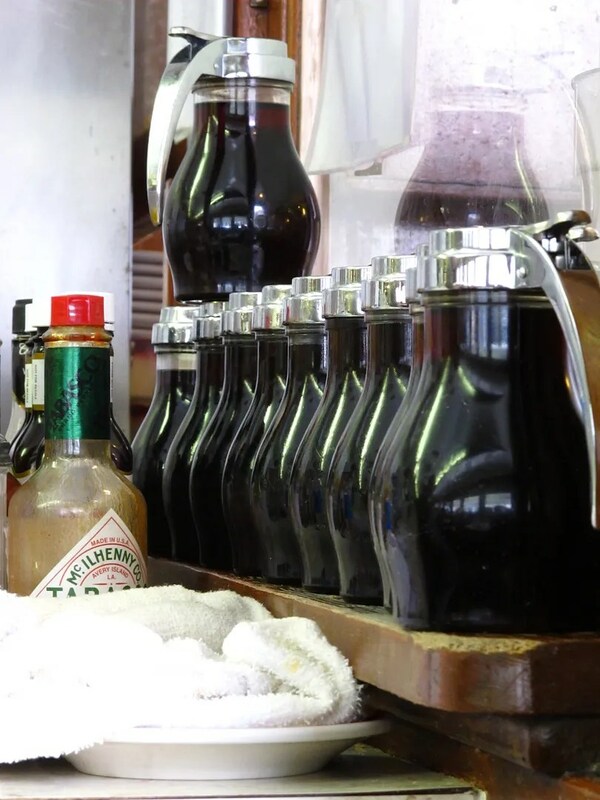 One of my all time favorite diner waitresses. 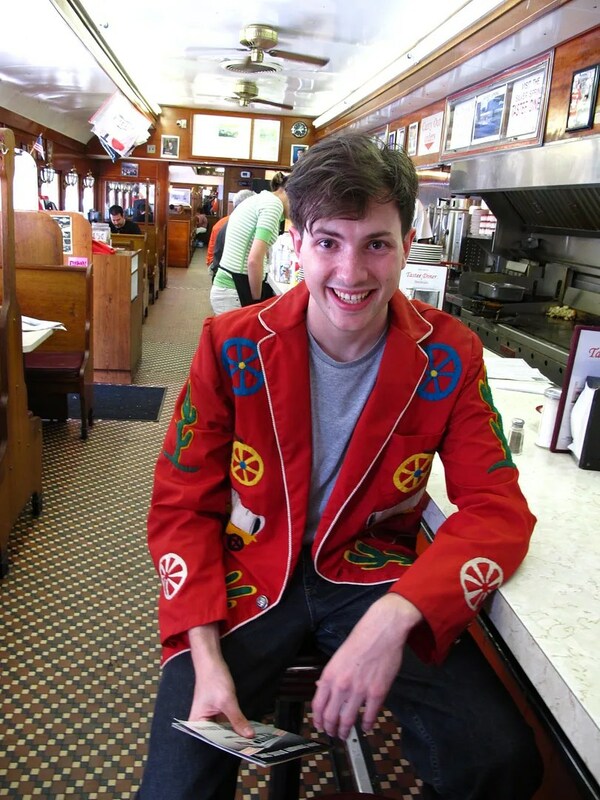 This entry was posted in Diners / roadside related, Diners/ restaurants, Jerry O'Mahony, Inc. by Spencer Stewart. Bookmark the permalink. 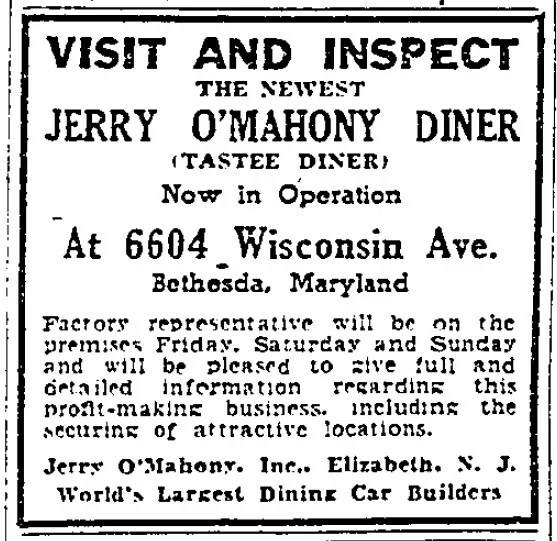 I spent my childhood in Rockville, Maryland, not far from Bethesda, but I never ate here. Next time I’m in the area I’ll make a pilgrimage. 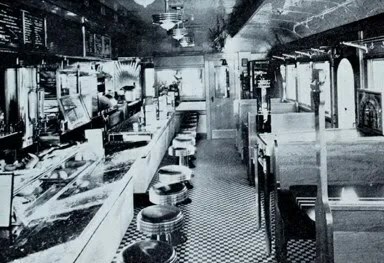 That’s a really nice-looking diner.